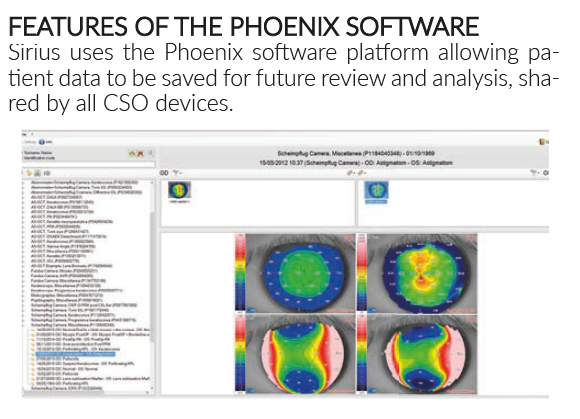 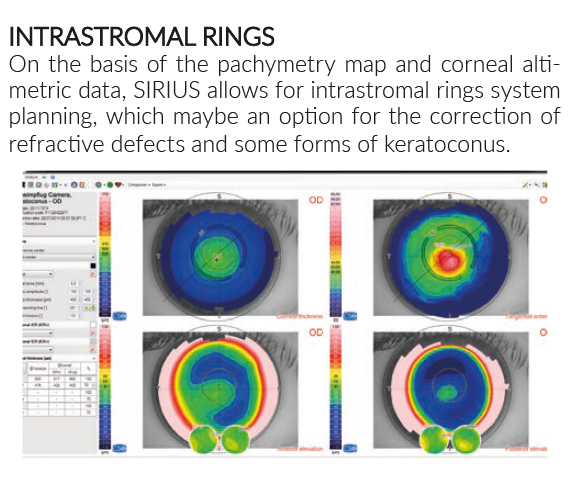 Combines placido disk topography with Sheimpflug tomography of the anterior segment. 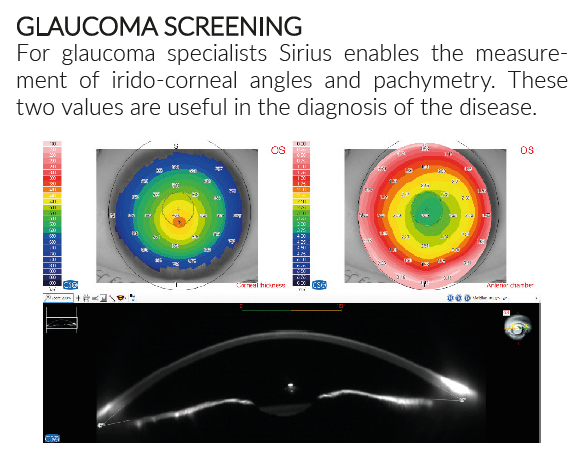 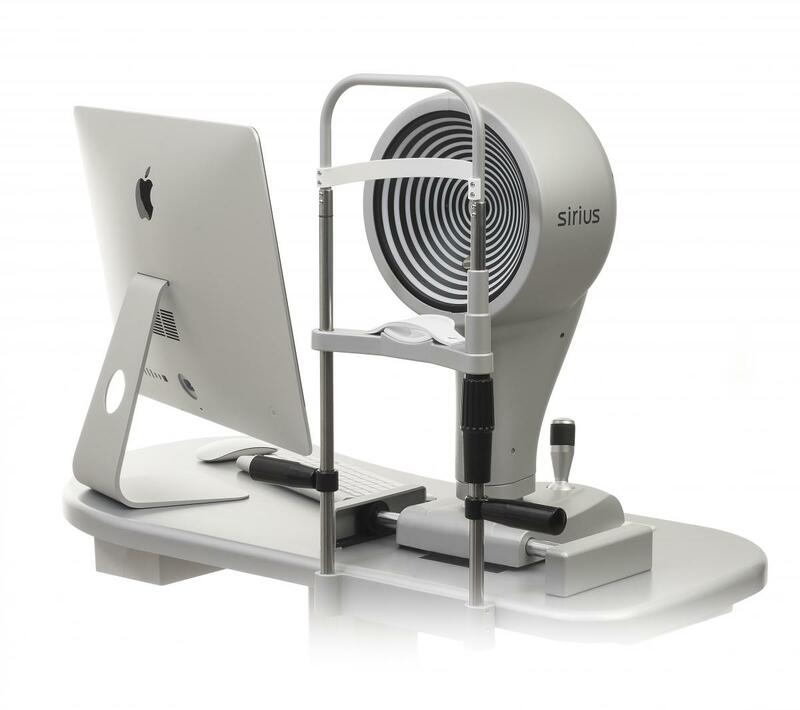 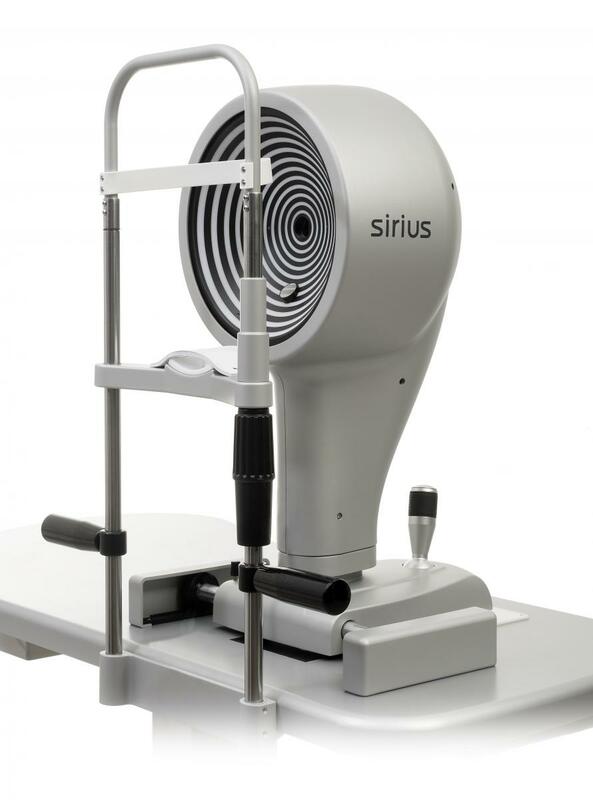 Sirius provides information on pachymetry, elevation, curvature and dioptric power of both corneal surfaces over a diameter of 12 mm. 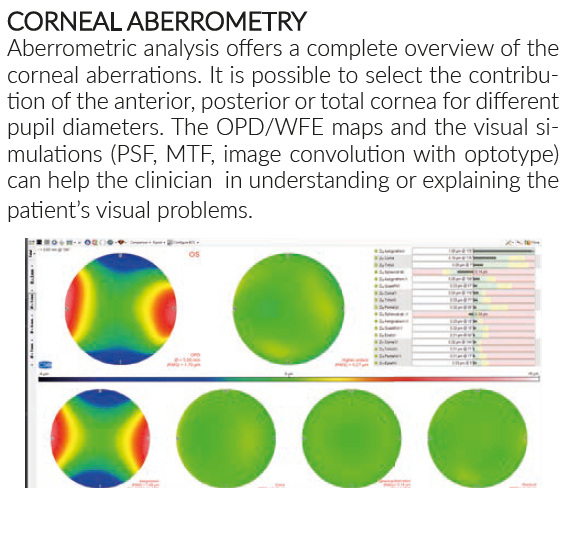 All biometric measurements of the anterior chamber are calculated using 25 sections from the cornea. 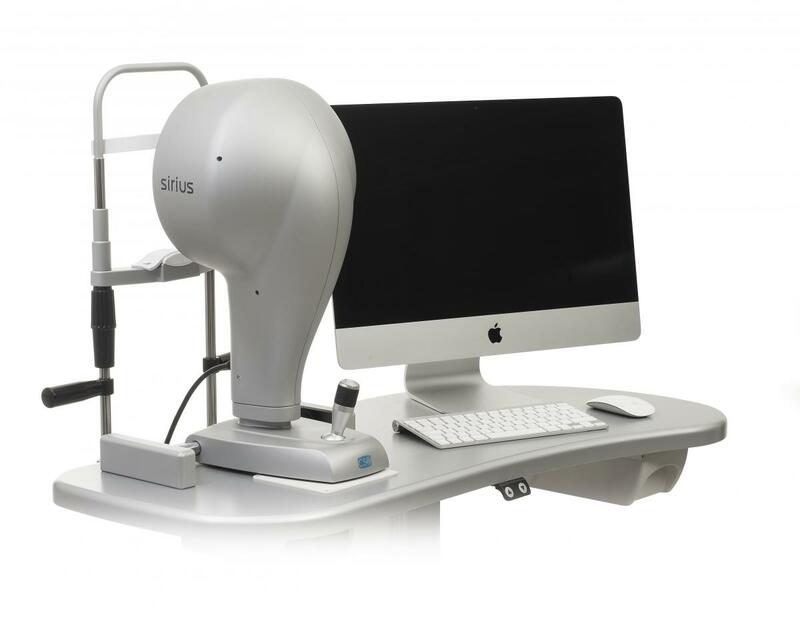 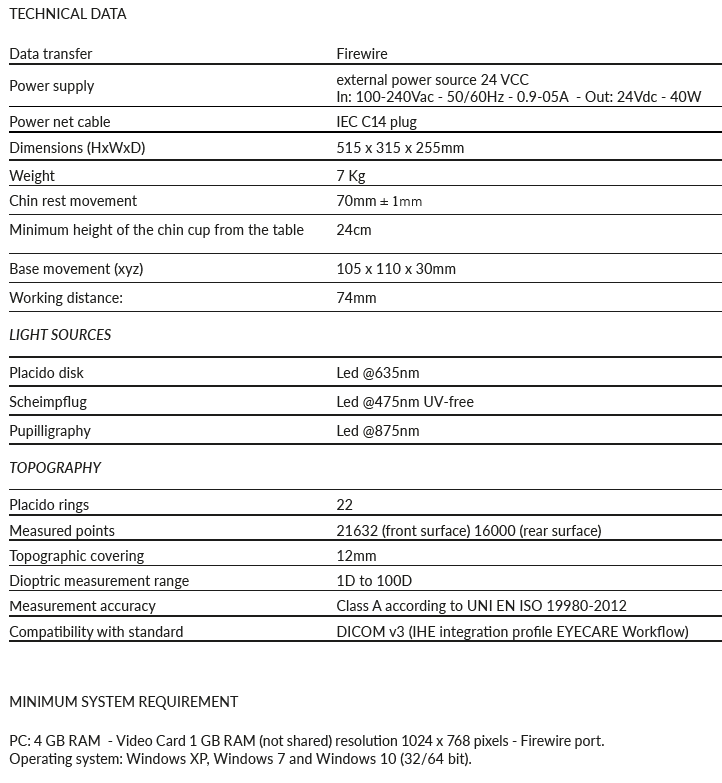 Measurement speed reduces the effect of eye movement producing a high quality accurate measurement. 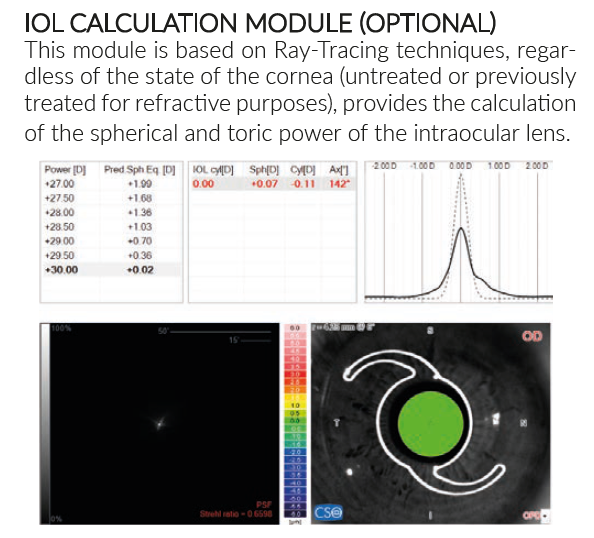 In addition to the clinical diagnosis of the anterior segment the most common uses are: refractive and cataract surgery, an IOL calculati on module is available. 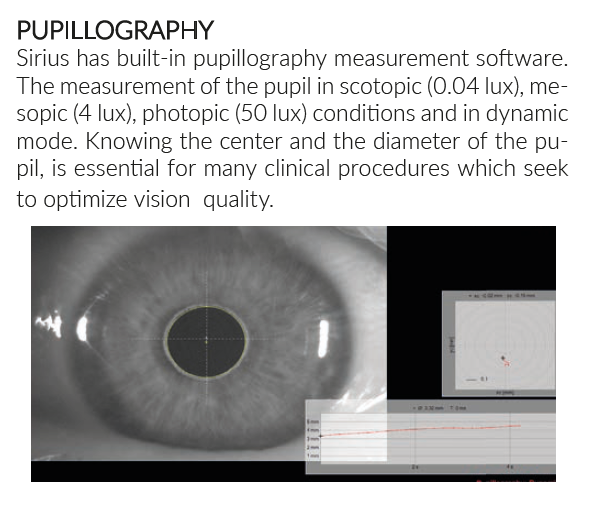 Objective examinations provide an accurate measurement of pupil diameter in scotopic, mesopic and photopic conditions. 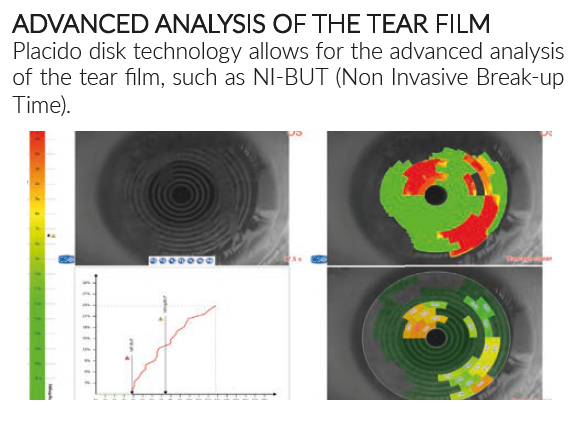 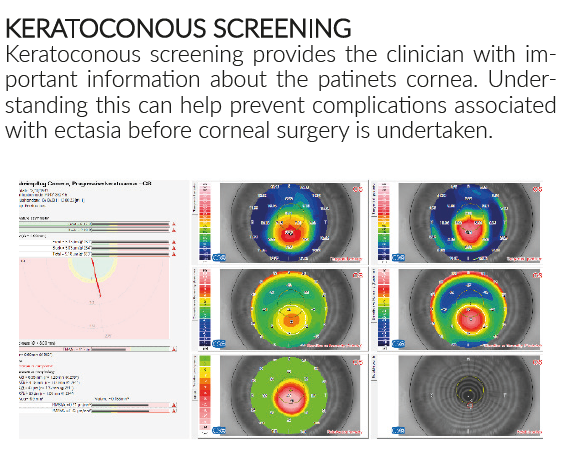 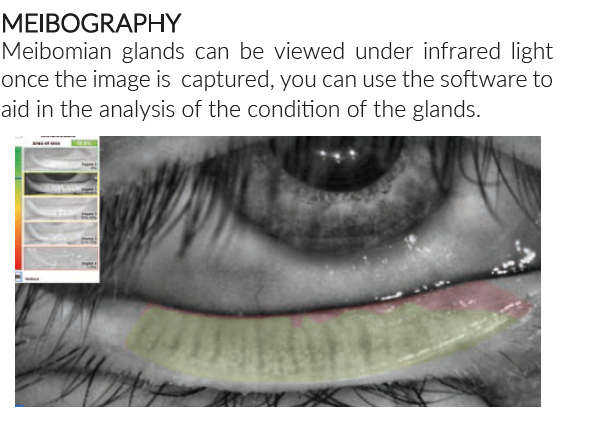 when combined with the corneal map they can be used for refractive surgery planning and follow-up.